North Star Underground Railroad Museum will participate in Clinton County's annual Museum Weekend on June 15th and 16th. Take a look at exhibits that reveal the hidden history of the Champlain Line of the Underground Railroad and portray compelling stories of fugitives from slavery who passed through Northeastern New York and the Champlain Valley on their way to freedom in Québec and Ontario, Canada. 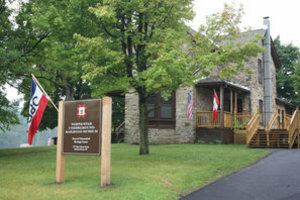 Bus tours will take visitors to sites associated with the Underground Railroad through the nineteenth century, including the former home of Stephen Keese Smith.